Traffic on the new Walterdale Bridge, canoes on the North Saskatchewan, Metis Fiddle music, Powwow dance music, French folk song, jazz, and the sounds of the natural environment of the River Valley: all these and more come together in the River Crossing Soundscape Project. 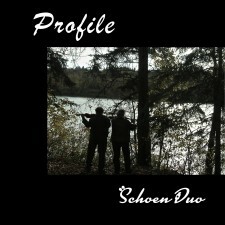 Through a series of workshops and consultations with area residents and traditional musicians the Schoen Duo have constructed a soundscape which evokes the rich cultural tapestry of the River Crossing area. The first performances of the River Crossing Soundscape Project took place on November 30 and December 1, 2018, at the Ortona Armoury Arts Building and the Rossdale Community Hall (Historic Little Flower Academy), two of the oldest buildings in the River Crossing area.